In case you’re interested in the Build Your Bundle sale, but aren’t sure where to start, I’m sharing what I’ve chosen to get and what I’m enjoying most. Plus, I’ll share with you how I’m organizing it all and what we’re already using! I bought 6 total bundles — 3 Build Your Own, and 3 pre-made bundles. This is because they offer Buy 2, Get 1 FREE, so I only paid for 4 total bundles. I paid a total of $104.80 for all of these materials. It’s more than we can possibly get through in a year, and a few of these are actually beyond my kids’ current level — intended more for middle/high school (my oldest is 9). If you got a coupon code for signing up for the giveaway during the pre-sale, your total could be $94.32. There are 60 different complete curriculum packages or resources listed here. That means I paid an average of just $1.75 each. Since some of these are worth $20+…and one was worth $120 alone…that is a total steal. Grab your Build Your Own Bundle! Obviously, we can’t and won’t use ALL of this in the same year. There are 60 different materials, and we have materials from previous years too! I keep them all in folders on my computer — which I’ll show you in a minute. So what are we using right now? We plan to use the Owl Unit Study here shortly. We raised caterpillars into butterflies this spring, and the last of our butterflies are hatching now. Once that project is finished, we will be diving into the owls. I already bought the owl pellets to explore! Spelling Level 1 is also something we’re using often. My 7-year-old is working through this, doing a set of lessons every week or two right now, at his request. It’ll take us awhile to get through the whole thing, because we don’t do it every single day or week, and it’s meant for a year of curriculum. We also don’t do every single activity every week. Mostly, he practices writing the words on a list and sometimes within a story. My 4-year-old is working through the ABC Workbook. He knows most of his letters, but this helps him remember the few he doesn’t know yet, as well as trace/write some of these letters too. He’s shown a strong interest in learning to write lately, although it isn’t easy for him. This one has large letters for tracing, though, which helps! My 5-year-old is starting to work through You Can Read! Word Families, learning more sight words and practicing reading. He reads only a handful of words so far, but is interested in doing more. This fall, we’re really looking forward to diving into Let’s Have Our Own Medieval Banquet and Ancient History Cookbook. I have always wanted to have a Reformation Day celebration and really dive into what life was like in that period of time. We’ll be cooking foods (and inviting friends), sewing some dresses and other period clothes, and more. We have several resources about the human body, a topic of great interest in my home. So, we’ll be reading through Quark Chronicles: Anatomy, and pulling some materials from The Human Body Curriculum and Human Body Unit (plus some additional materials we got in previous years, and watching videos on the Kids’ Health YouTube channel). Most of the rest of this, we’ll pull out as the kids ask questions throughout the year. I’m really excited to try out some of the other unit studies as the kids get interested in them, or possibly as we’re exploring the world this summer. Maybe if we head near some water, we’ll pull out studies on oceans and jellyfish. Or maybe we’ll look at alligators at the zoo, or rocks and minerals when we go hiking. There are so many options! You can shop the Build Your Bundle Sale through Tuesday, May 30 only! It’s very simple! I’ll show you. In the “My Documents” folder on my computer, I created a folder called “Homeschooling Materials 2016.” Within that folder, there are a bunch of sub-folders for each subject. The list on the right side is the list of subjects. When I click any given folder, then all of the materials I have on that subject come up! Then, it’s easy to just open whichever one I want, and print the exact pages I need — and only the pages I need! I don’t know about your toddlers, but mine love to go and pull books off shelves every chance they get. Well, pretty much just my almost 2-year-old. Even my older kids often forget to put things away like they should. When the files are digital, they are all organized exactly how I want them on my computer…all the time. No physical books, nothing to store! Can you imagine storing 60+ books and materials from every year? So many shelves. So much to move, if needed. With digital files, there’s nothing there at all! If I really had 60 – 100 books, it would be easy to forget what I even had, and have to spend a lot of time sorting through them. They could get lost. When it’s digital, it takes only a few seconds to click the right folder and see what’s there…then fill in the blanks as needed! I don’t have to print everything in these books…I only print the parts that we really need! We tend to skip over parts that don’t work for us, or that are not needed (like extra practice on concepts they already get). Plus, some of our materials can be used fully digitally, which also saves paper! When you buy paper workbooks, then you have to re-buy them for each kid. But when you have a digital file, you can re-print for each kid. No need to buy again! Kids sometimes ruin books…you know? Lose them, forget them, spill stuff on them. If it’s a physical book, you’ll have to re-buy. But if it’s digital, no problem, just print again! As you can see, there are lots of advantages to digital books! I can’t tell you what you need! But definitely take time to look through what you have, and then shop for items that will work for your child over the next year or so. If you sign up for an account on the Build Your Bundle site, you can save a shopping cart and come back to it later. You have through Tuesday, May 30 to actually finish the process, so you don’t have to decide 100% what you want today! I’m happy to answer any questions about the products I’ve purchased and used personally if you have any! And the BYB team is happy to answer other questions if needed. AND…per the graphic above, if you choose to grab any bundle through the BYB, you’ll get access to an awesome FREE trial pack through Earthley. That’s pretty great! 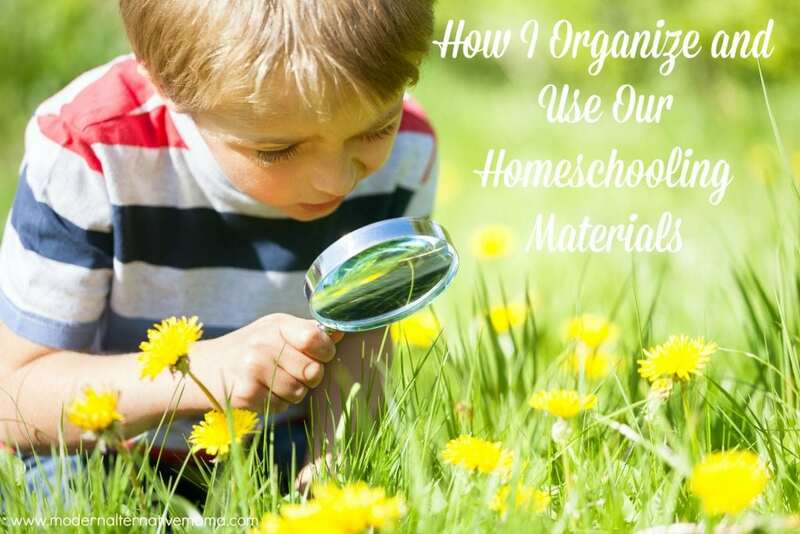 What homeschooling materials are you choosing? What is your 9 year old doing? I have a 9 year old an need homeschooling advice! So easy when they’re young, but it’s getting harder and harder every year! Right now she’s reading books at a 2nd – 3rd grade level (of her choosing; we go to the library to pick things together). She does math from this website: http://www.k5learning.com/free-math-worksheets/third-grade-3/ We do sewing and cooking. We also take field trips to different places and see historical sites or take nature walks, and we go a little more in-depth with plant identification and stuff like that. She watches a lot of “learning videos” on TedX and other channels on a variety of topics. And, we explore whatever else she’s interested in as it comes up. Do they do this sale every year? We’re planning to adopt a child next year who will most likely be pre-k age and ESL, so we don’t need to buy materials until next year. I have never really understood the draw of electronic bundles. That’s probably the same reason I find Pinterest rather useless also, though. I’m more of a put-it-all-together so you can see it in front of you at the time you actually need it type of a person. I just don’t save things, I guess, even if I know I might be able to use them later.